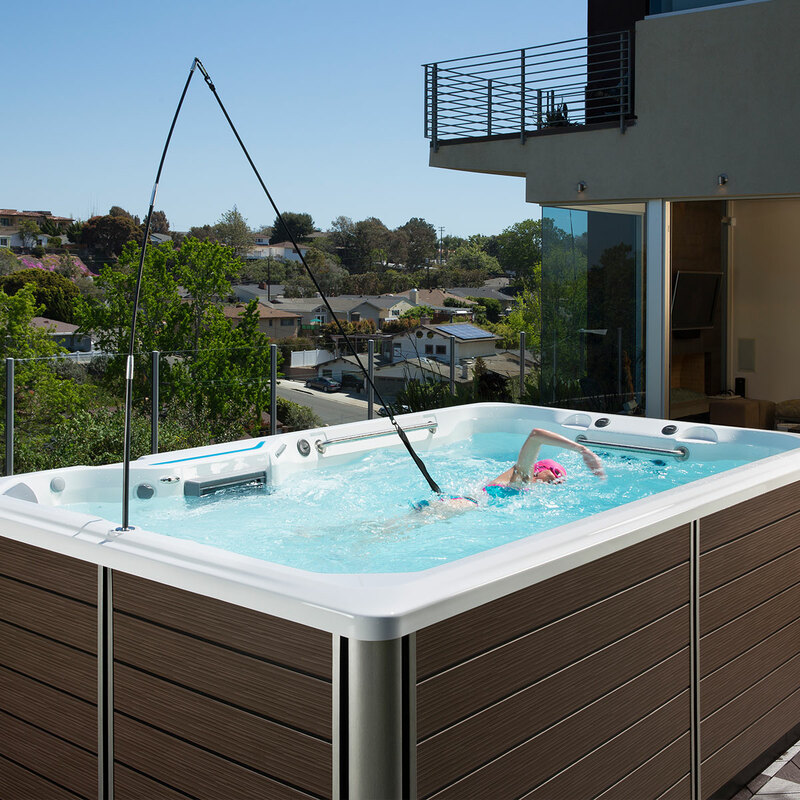 Wellness that fits your life. 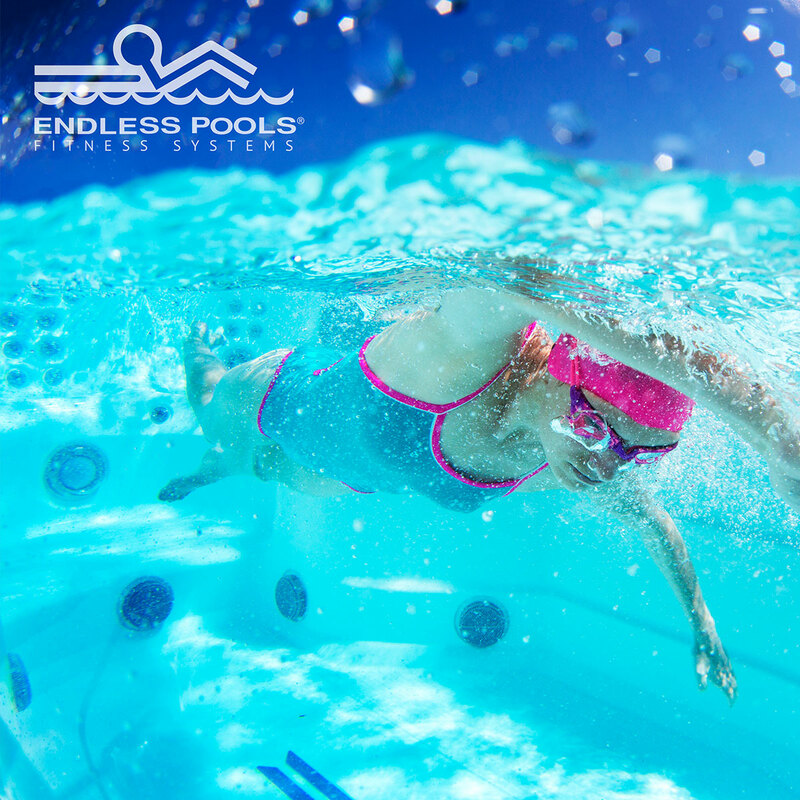 Nothing is more refreshing or rejuvenating than a swim or an aquatic workout in the privacy and convenience of your own home. 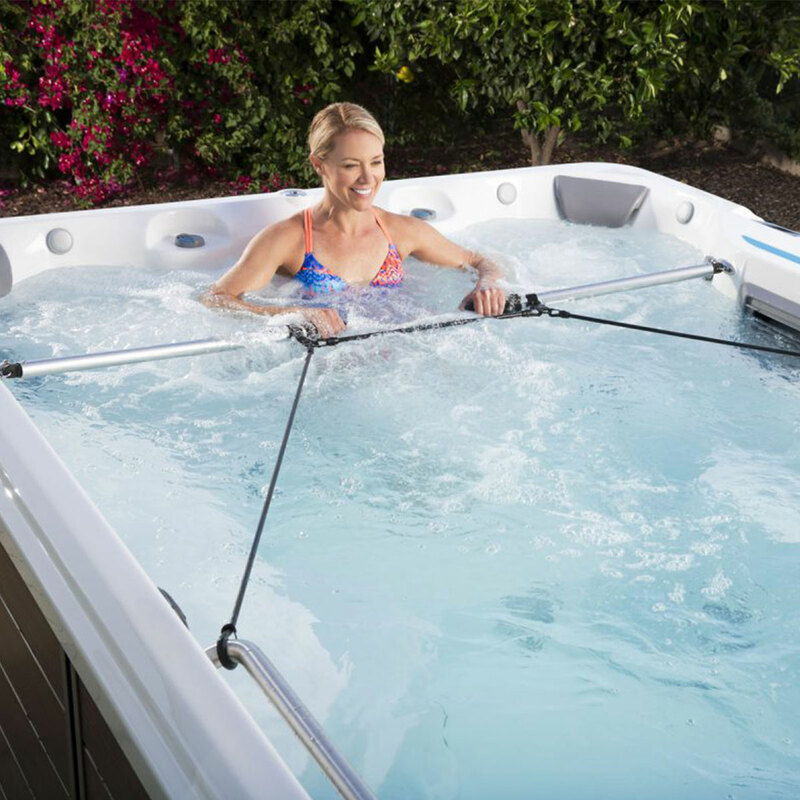 Endless Pools®, the makers of SwimCross™ Exercise Systems, introduces the X500. 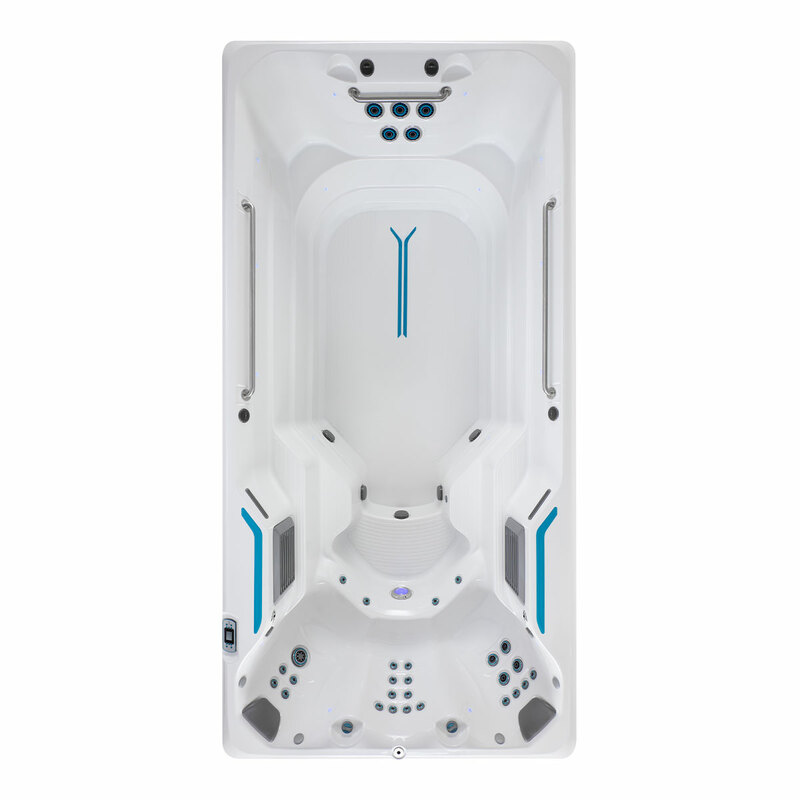 Not only visually stunning, the X500 was purposely designed for any level of user to attain a complete body workout. 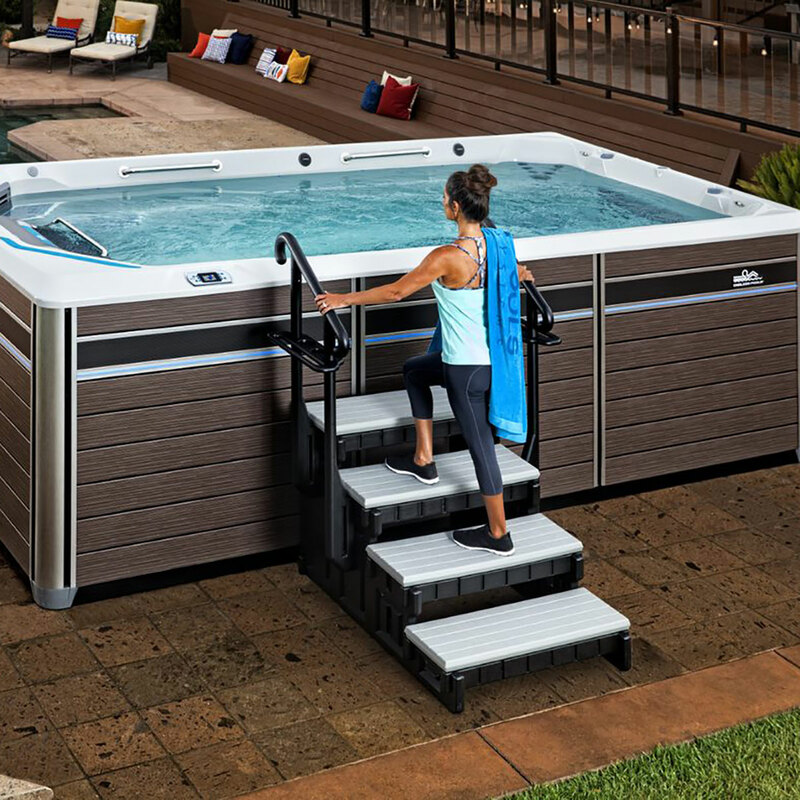 With its generous swim and exercise area, along with easy entry and variable speed swim jet system, the X500 takes backyard fitness to a whole new level. 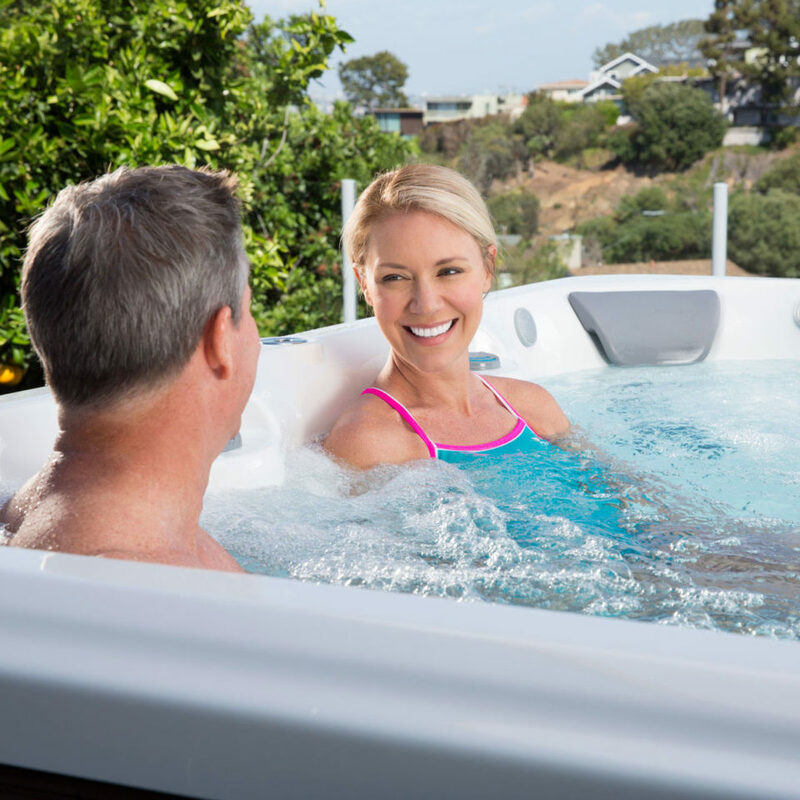 It’s time to put wellness into your daily routine. 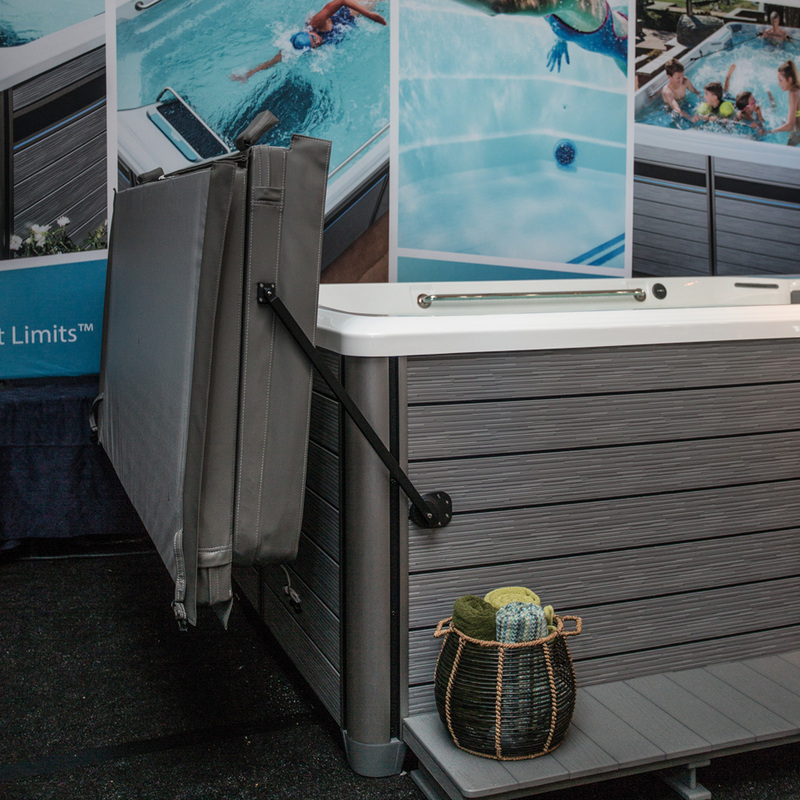 The swim jets in SwimCross Exercise Systems are designed for both swim and water-workout options suitable for all ages, sizes and skill levels. 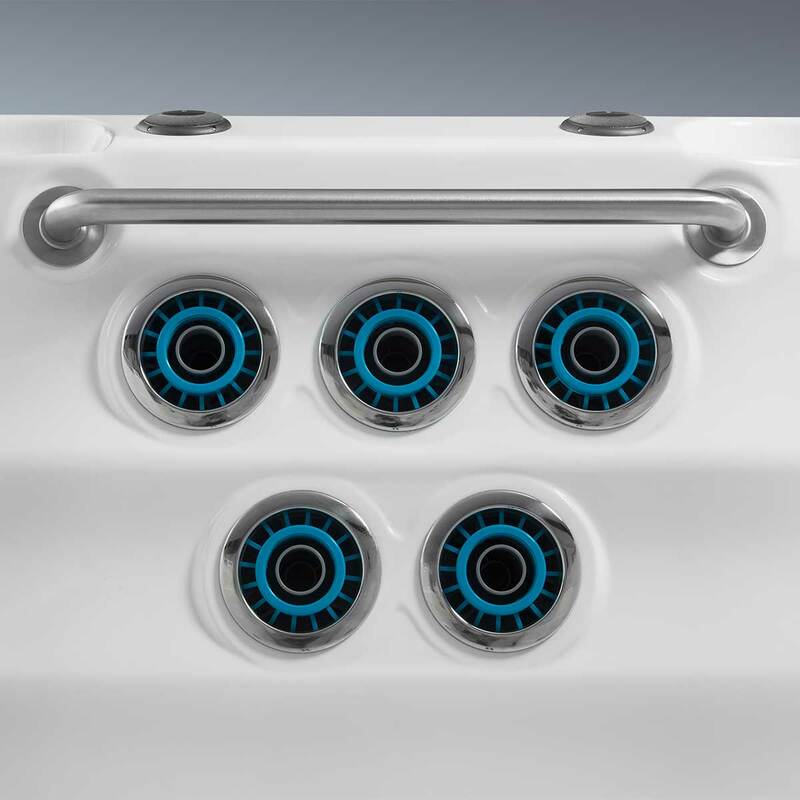 A total of five swim jets, driven by two pumps, provide a steady stream of water that is more powerful than the average jet. 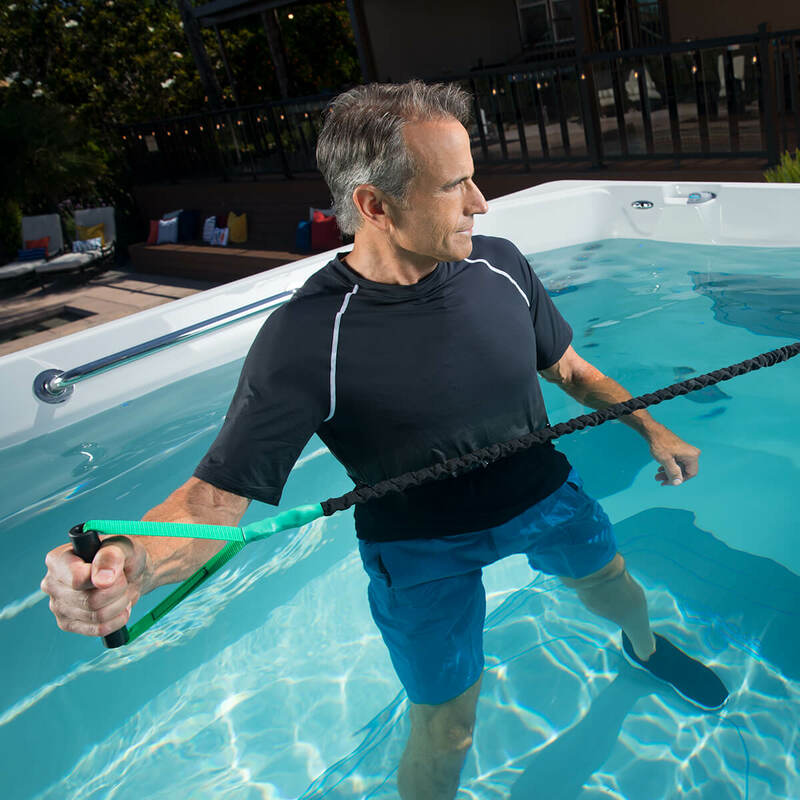 The swim jet uses a venture effect, not air, to draw-in or entrain more water, effectively multiplying the volume of water. 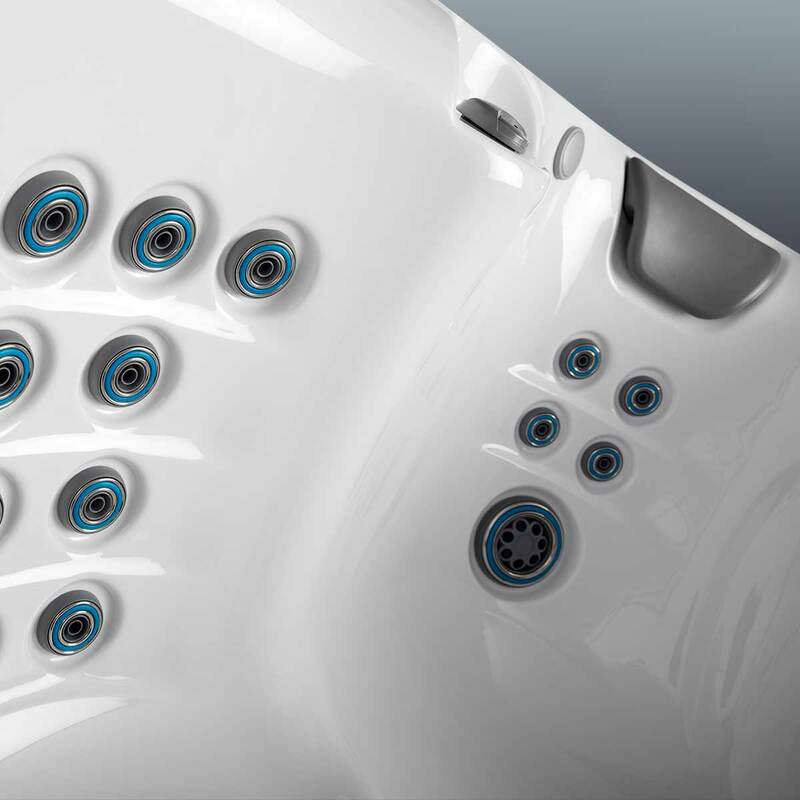 This design feature results in stronger resistance for swimming with less turbulence than other swim spas on the market. 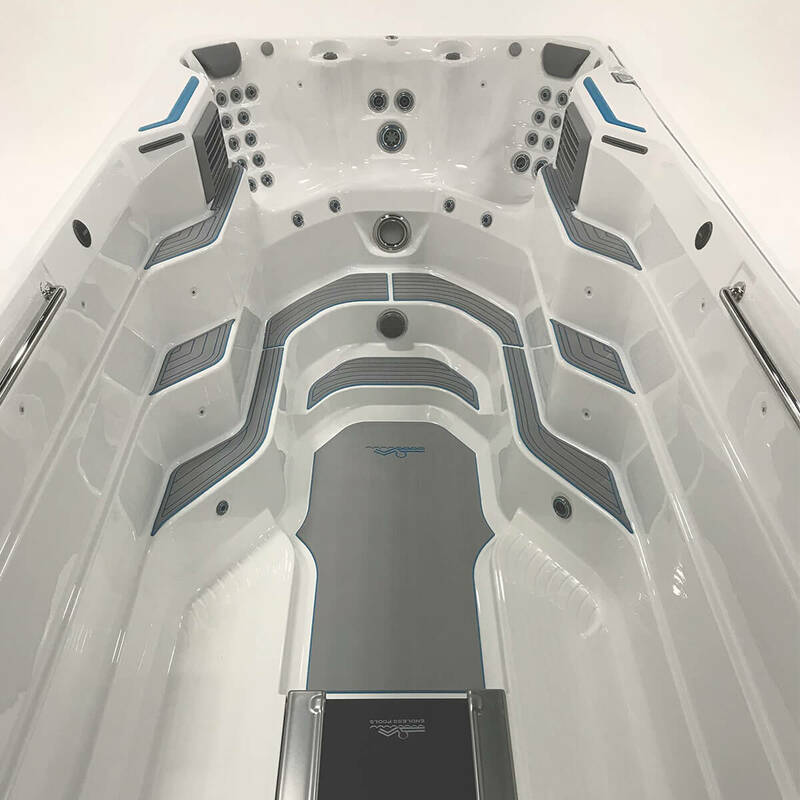 And, swimmers will find it easier to stay centered and afloat, thanks to the jet configuration, which is designed for the top jets to provide resistance while the bottom jets provide lift. 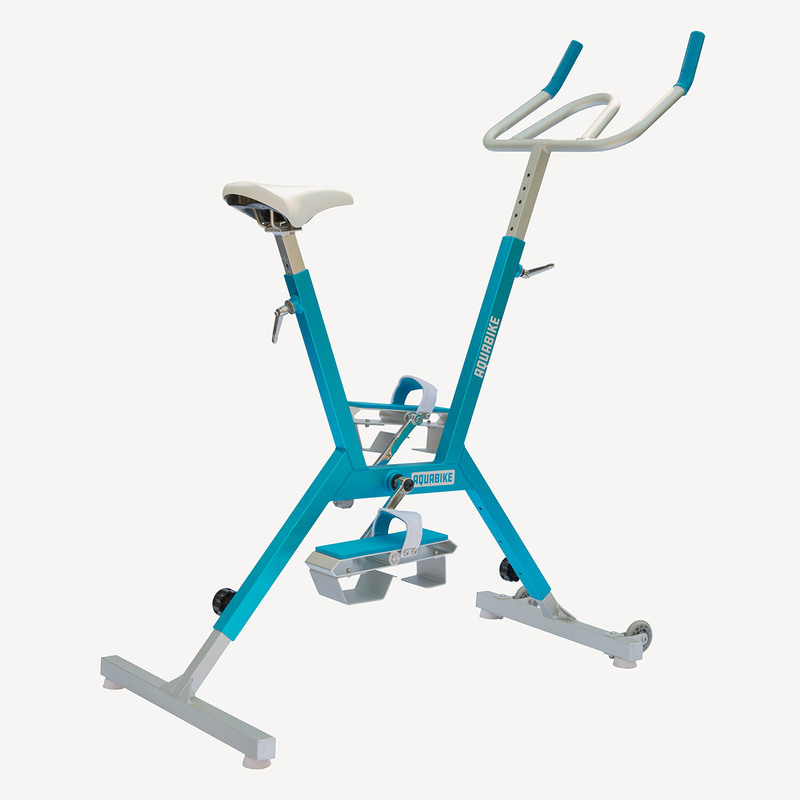 Simply toggle the three top jets between two speeds and the two bottom jets between on and off – a total combination of five output levels – for easy workout customization. 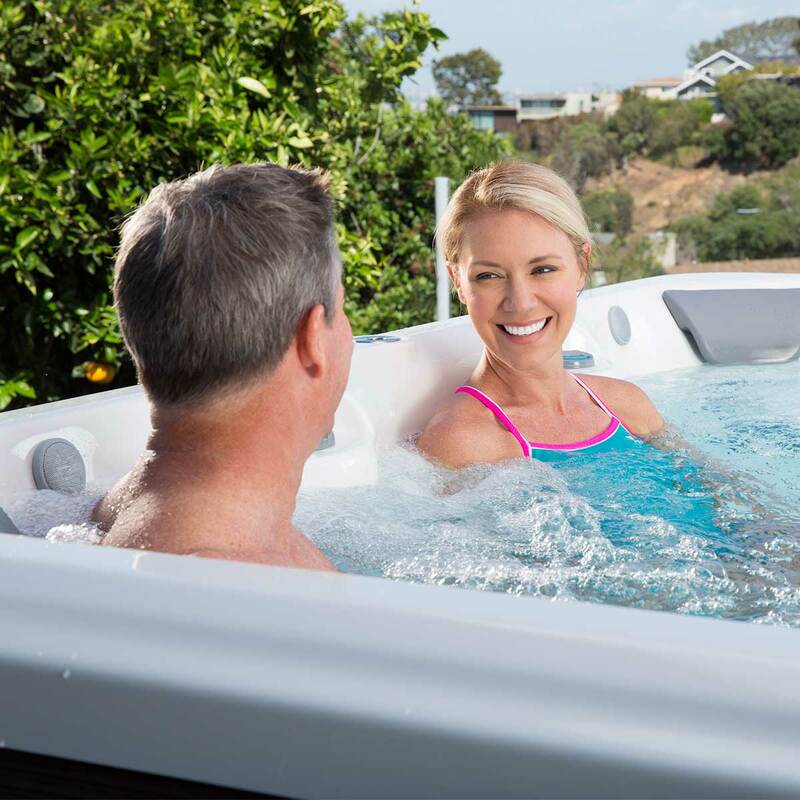 Following your workout, there is nothing like a “cool-down” in the comfort of spa seating here hydromassage jets soothe your muscles. 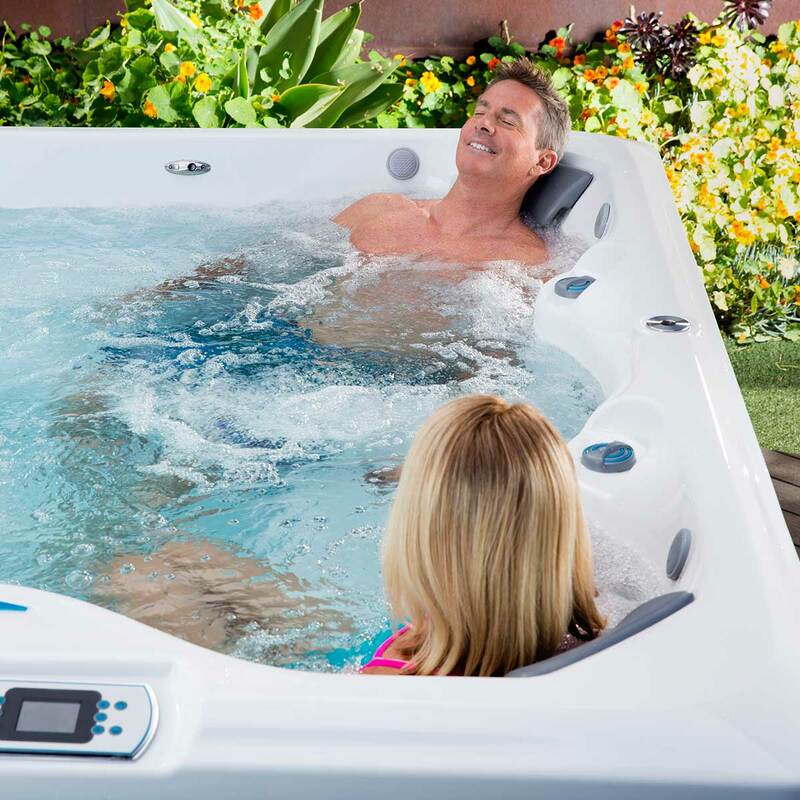 Perfectly positioned in two captain’s chairs with pillows, plus a third middle seat, four jet types are combined in three configurations to deliver an ideal post-workout relaxation experience. 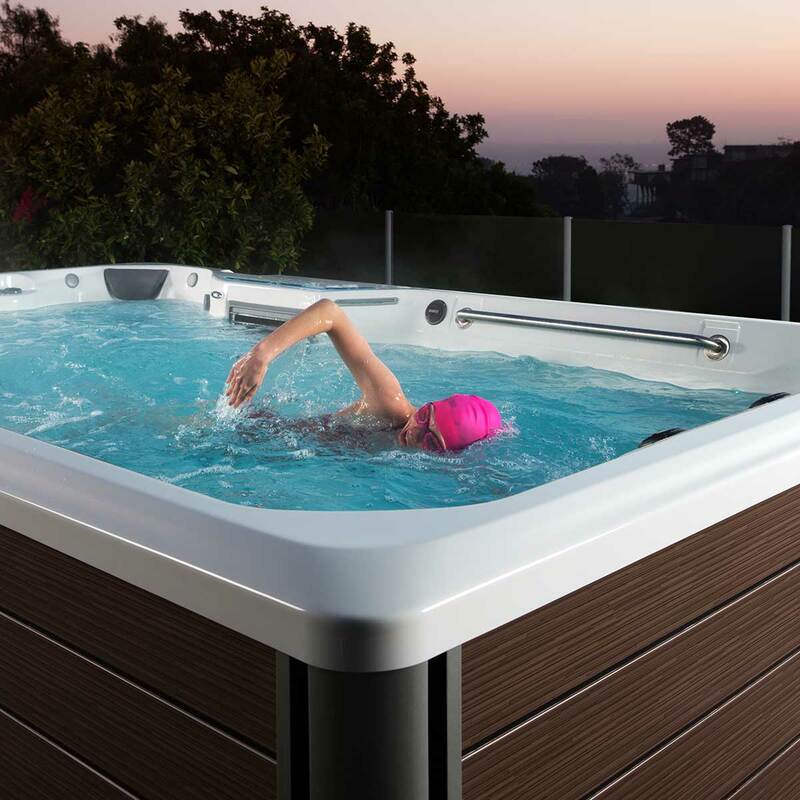 The stunning lighting of SwimCross Exercise Systems delivers maximum design impact. 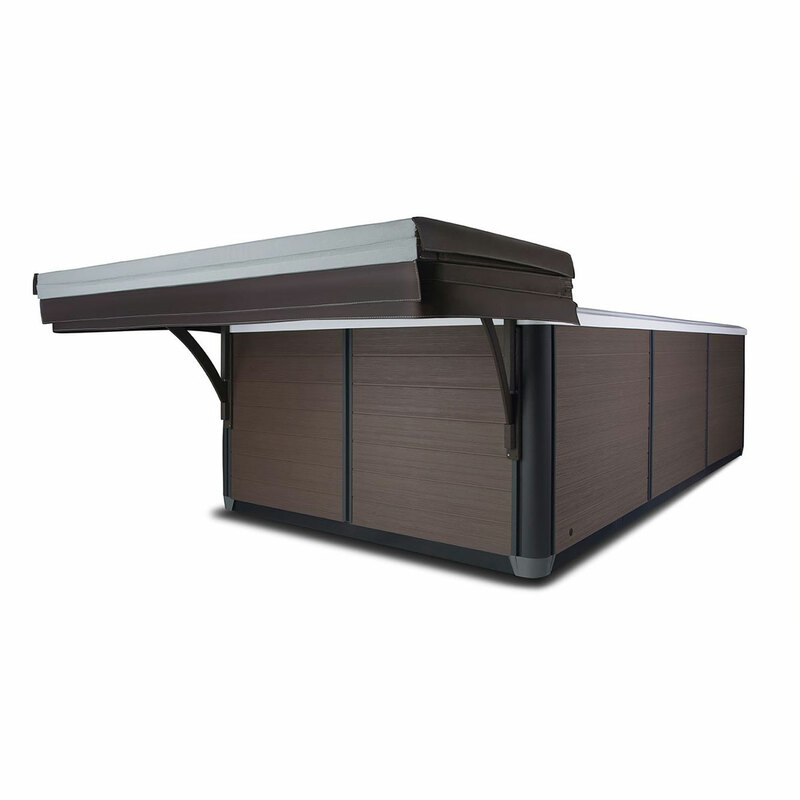 Its 5” main interior light and multi-color LED points of light provide ample brilliance and beauty. The water feature is also backlit for added elegance. 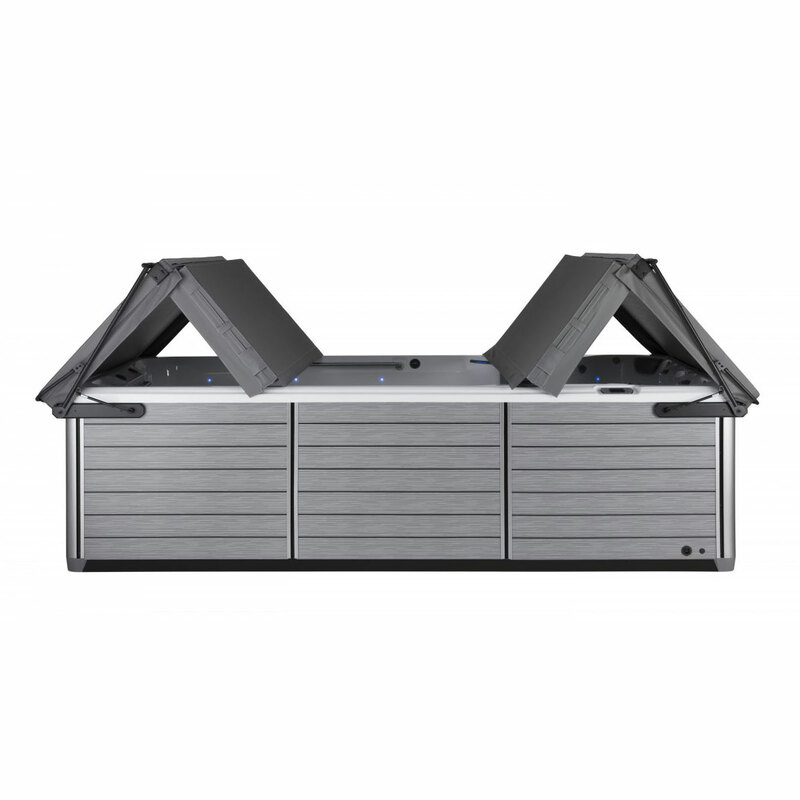 SwimCross Exercise Systems use a dual water purification system that combines Ultraviolet C (UVC) with eco-friendly CD Ozone, commonly known as Advanced Oxidation Process (AOP), to neutralize contaminants. 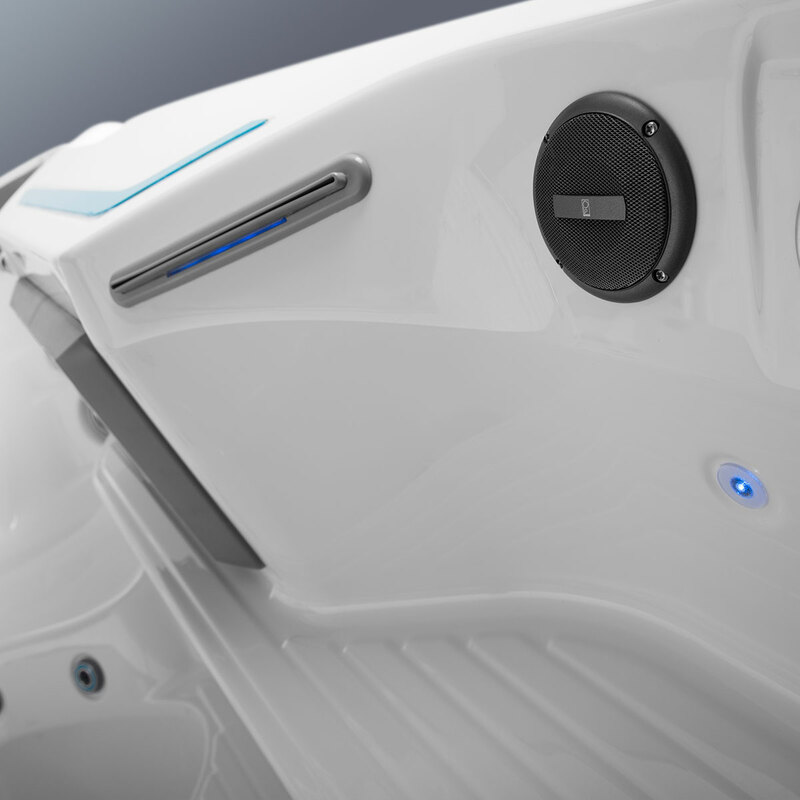 Water is circulated through the hydromassage pump on low speed for regular water circulation and optimal water quality. 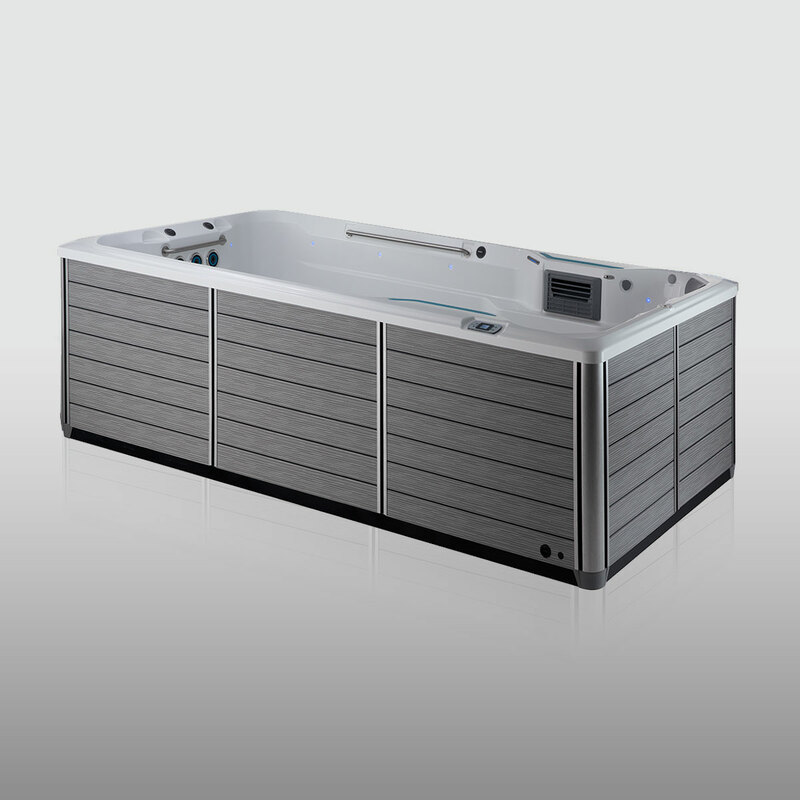 SwimCross Exercise Systems feature an LCD control panel that makes it easy to navigate component controls. 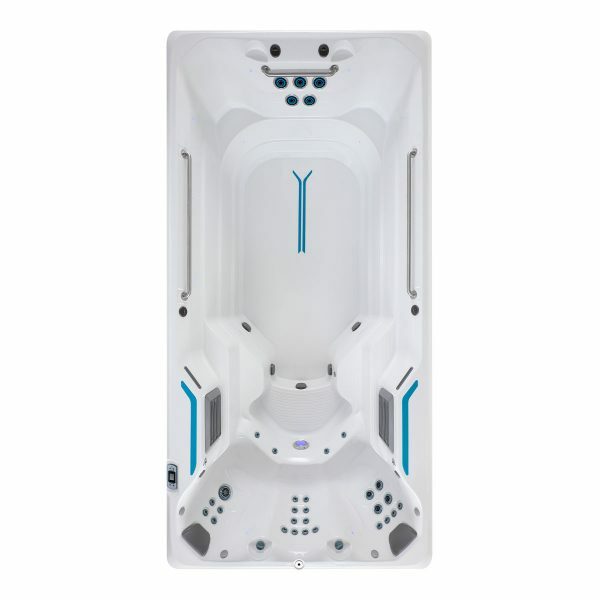 Functions include on/off, water temperature and water care management, as well as control of the interior lighting, and hydromassage jets. By installing the optional plug-and-play Gecko® In.Touch Wifi and Mobile App, you’ll gain full control of the system’s temperature, lights and jets from any wifi-enabled tablet or mobile device, anywhere, anytime.